I am not going to post all my Screen shots in this post. You can visit the complete imgur album Instead. I will however touch on some shots I thought were pretty awesome. 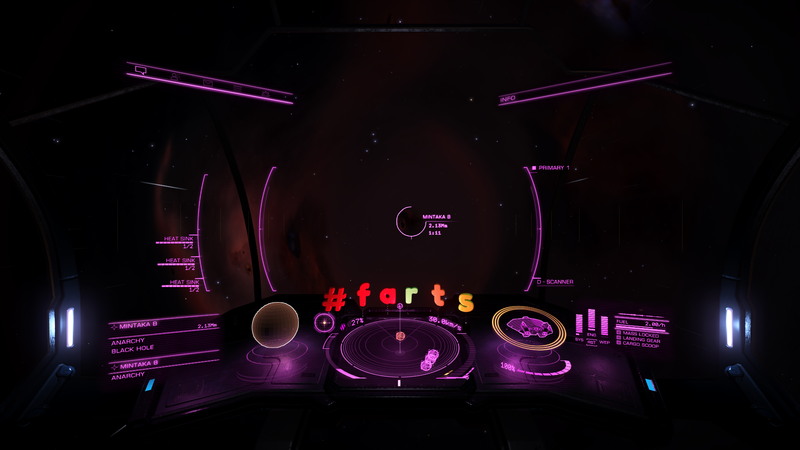 I started my trip in Eravate my home system. 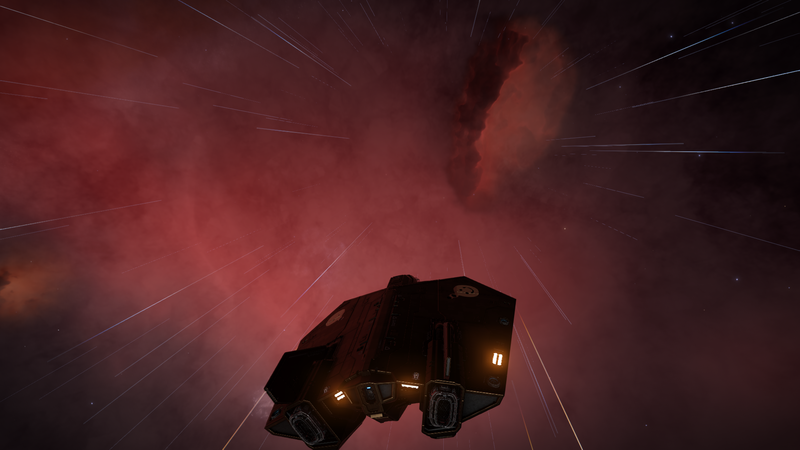 I made my way to the witch head nebula and then from there I went to the running man nebula and then onto Barnard’s Loop and through it. I discovered quite a few new objects. 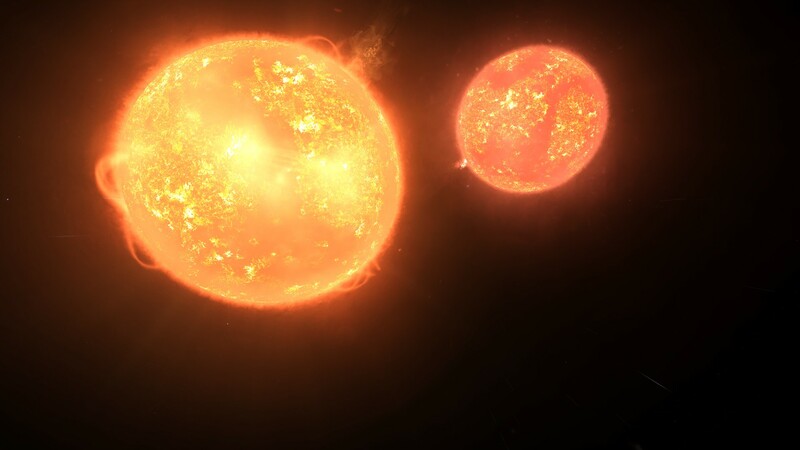 There were several Binary star systems that I visited the one pictured below what not a bad one about 100 ly later I jumped into one that put me between the two stars that were a lot closer than you seen in this one and it fried my ship a bit thankfully I came prepared with heat-sinks and was able to escape with minimal damage that was repaired by my AFMU. 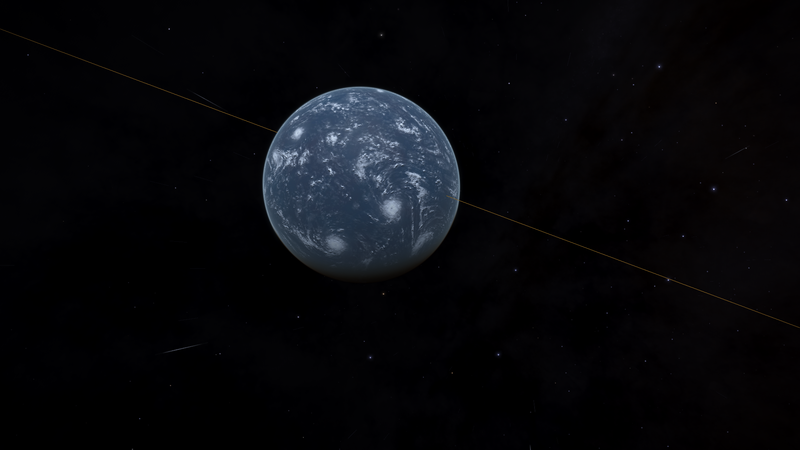 On my way to the witch head nebula I found my first water world. I had hoped it was an earth like but alas it was not. Pictured is a terrestrial water world with an active water-based chemistry and carbon-water-based life. 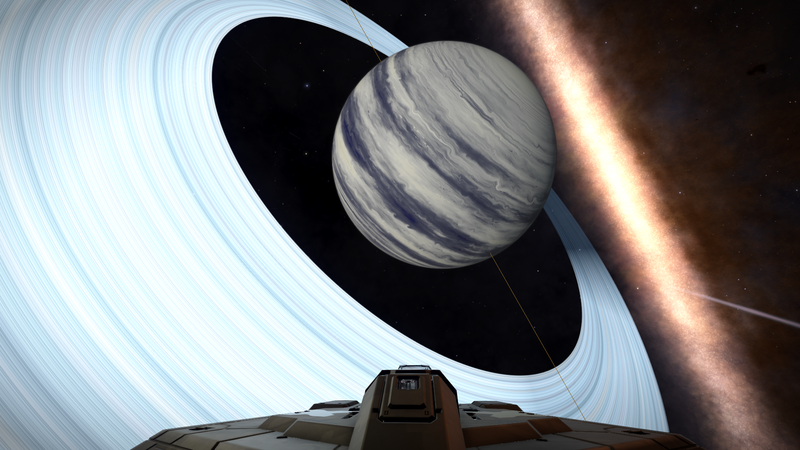 once passed Witch head and into the orion nebula and running man on through Barnard’s Loop I stumbled upon some neat gas giants. 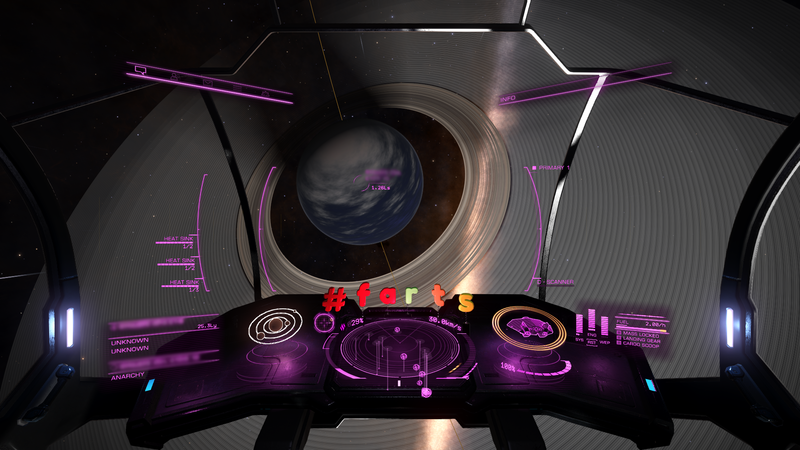 On may way out of Barnard’s Loop I decided to visit a know location of a black hole and this was the major reason I had to end my trip so short it had a planet orbiting it and apparently that means the planet is going to be a very high gravity planet and I belly flopped my ship. 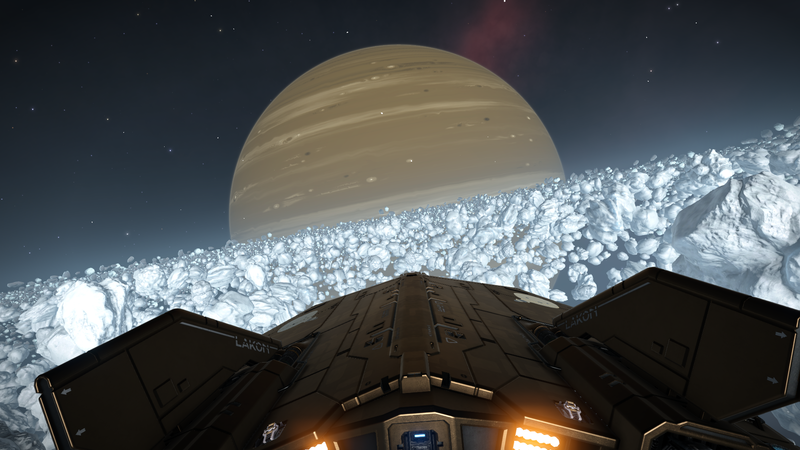 At this point I was 900 ly from my home system. That is 30 jumps with my ship. 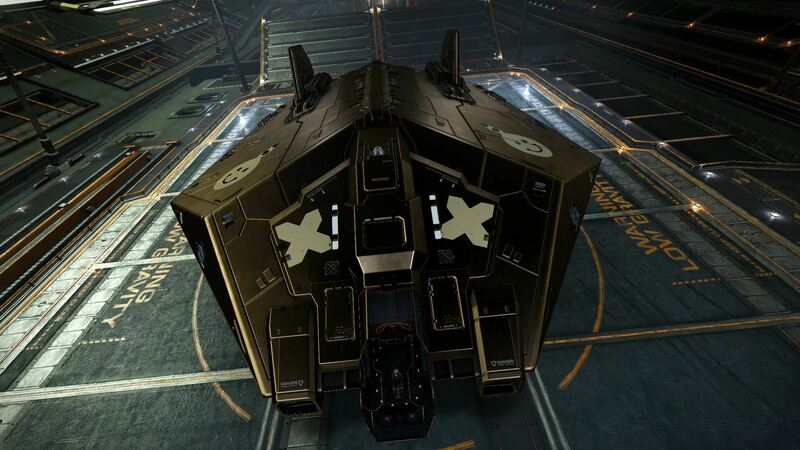 so with 3 heat-sinks left and 40% hull left and about 1/4 or my repairs left in my AFMU I plotted course to head home. I think my next trip will be to Sagittarius A* I believe but is going to take some time planning and preparing myself for the trip out there. as it will probably take me longer than just 4-5 days. 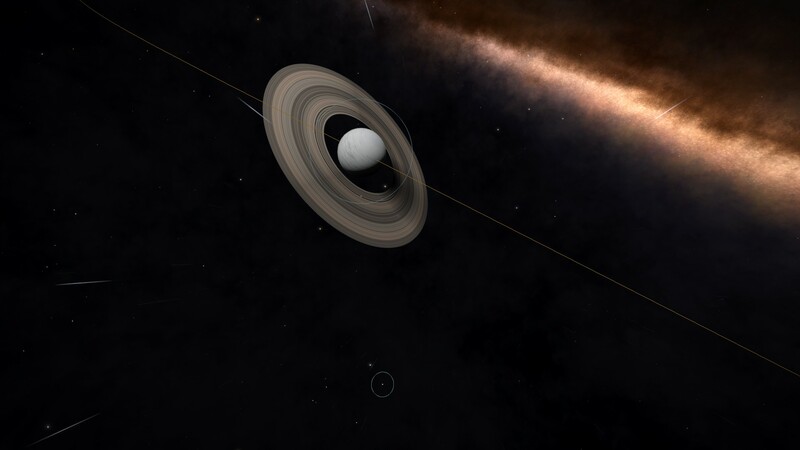 Elite: Dangerous can be very Daunting when you are a new player and you have not idea where to go or what to do well I’m gonna help you out with this short and sweet beginner guide. 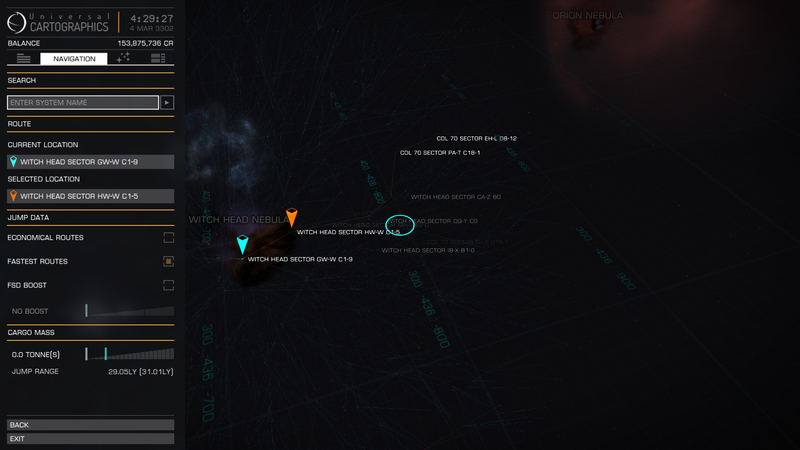 If you have horizons and choose surface start (horizons sidewinder), you will start at Asellus Primus This is a good starting system. 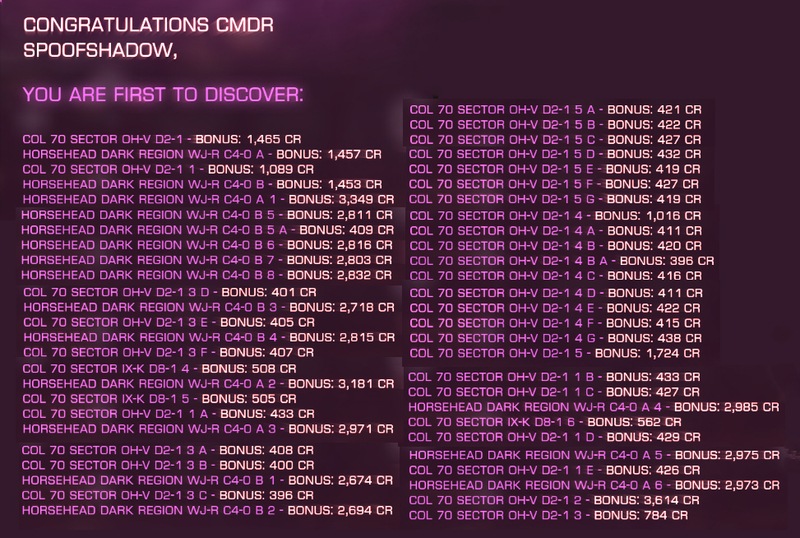 If you chose New Commander you will start at LHS 3447. 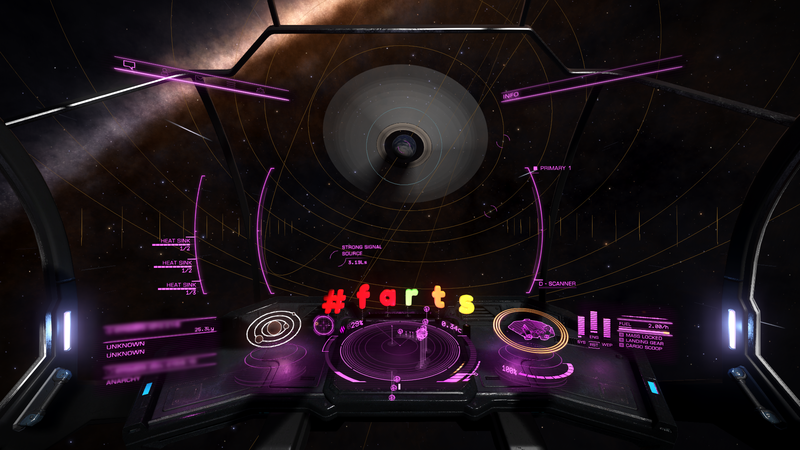 First thing you want to do is get out of (LHS 3447) and never look back. 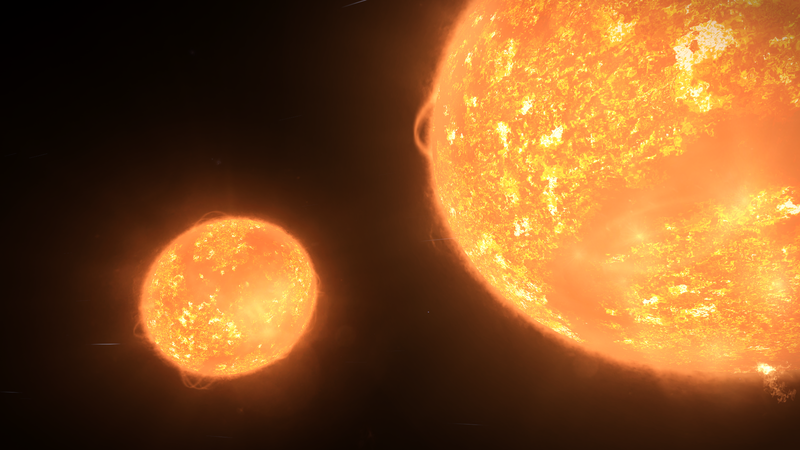 Eravate system right next door has stations under 200ls away from its star – Cleve Hub, It currently also one of the busiest areas of space. Eravate is also controlled and protected by the Player group Adle’s Armada. LTT 18486 and LTT 3572 systems are close by and has RES(resource extraction sites) for bounty hunting. Obsidian Ant is a good youtube channel for anything elite related. Frontier Developments to catch up on current updates and Educating ED is a good series. Scott Manley An Astronomer, he doesn’t play elite exclusively but he brings a great scientific perspective to the table. Troa Barton does good walk-though instructions for the game. 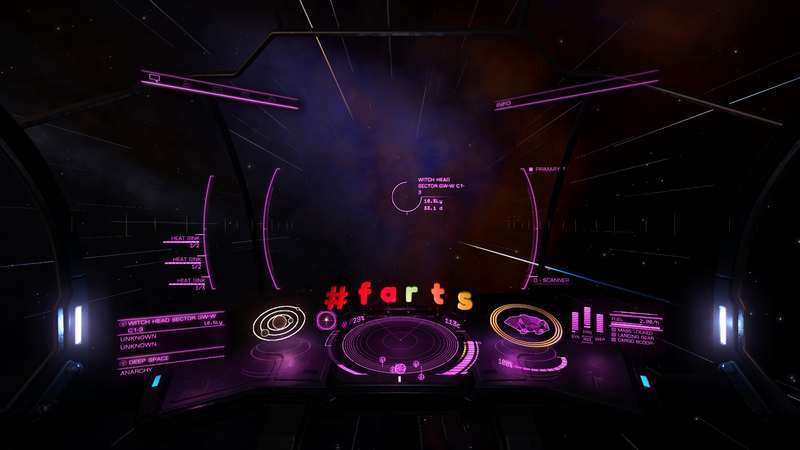 I have headed out to start exploring the galaxy. 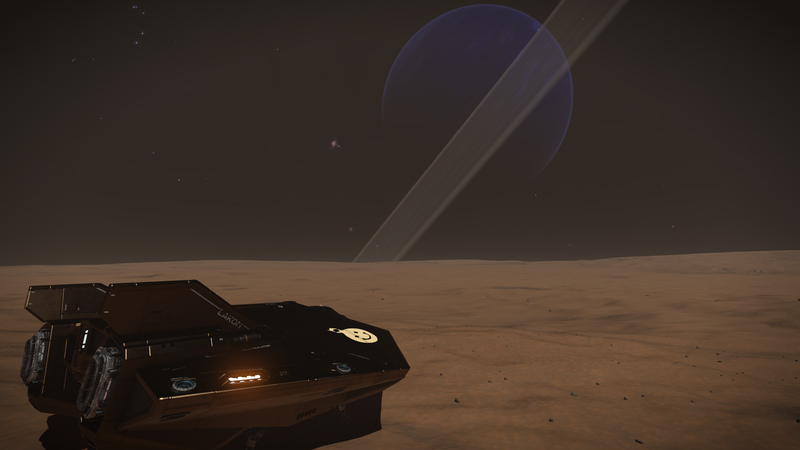 On this day i have made it nearly 510 light-years out from my home system of Eravate. 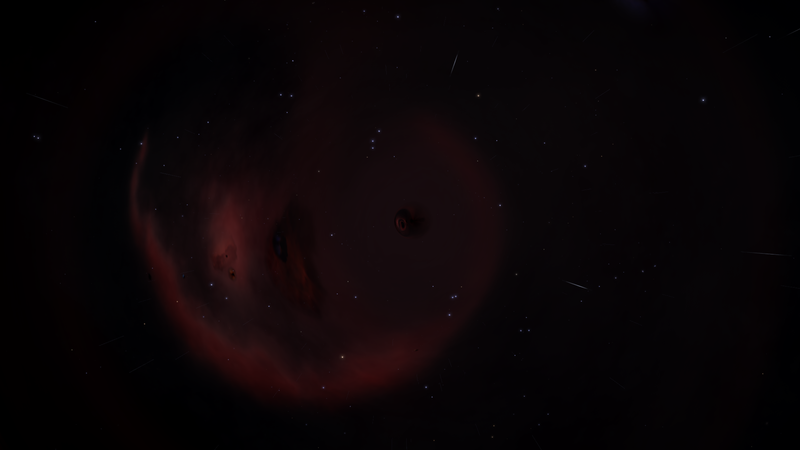 I want to make my way out to Barnard’s Loop which is like 1700 light-years out from where I started. 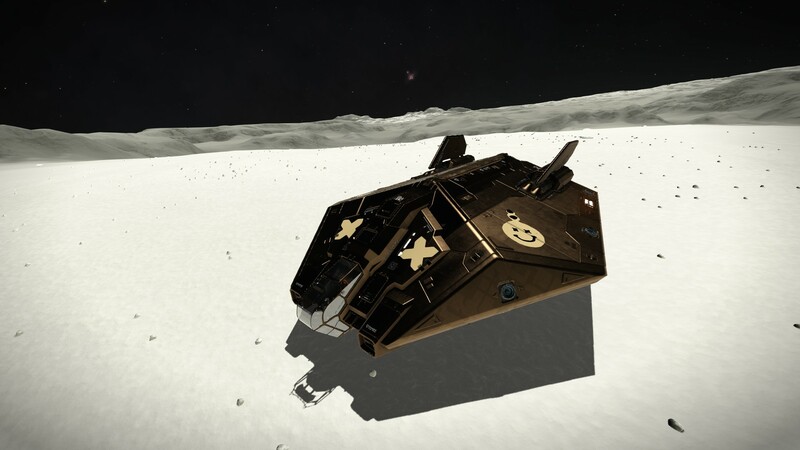 So i fitted up an Asp Explorer and set out on my journey. 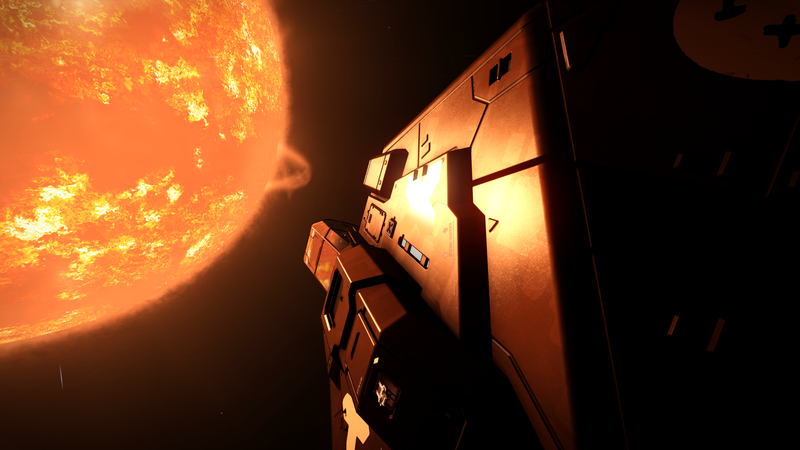 My load-out allows for me to jump nearly 30 light-years in a single jump makes for getting where I want to go fast. 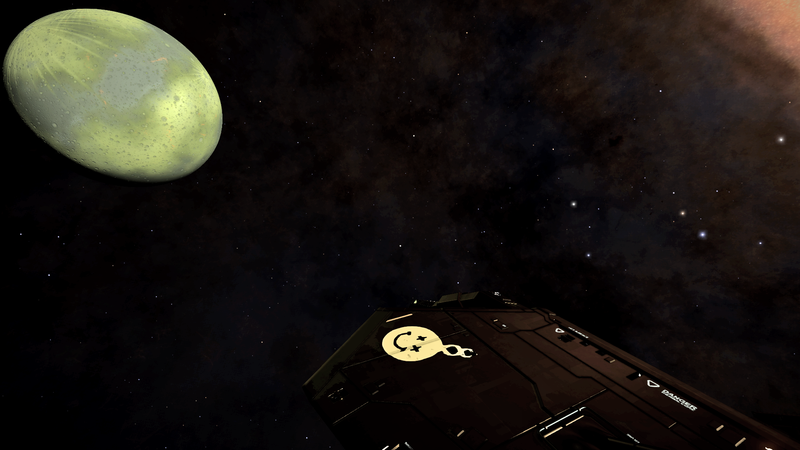 so it only took me 19 jumps to get 510 ly out. and here I am basking in that star. 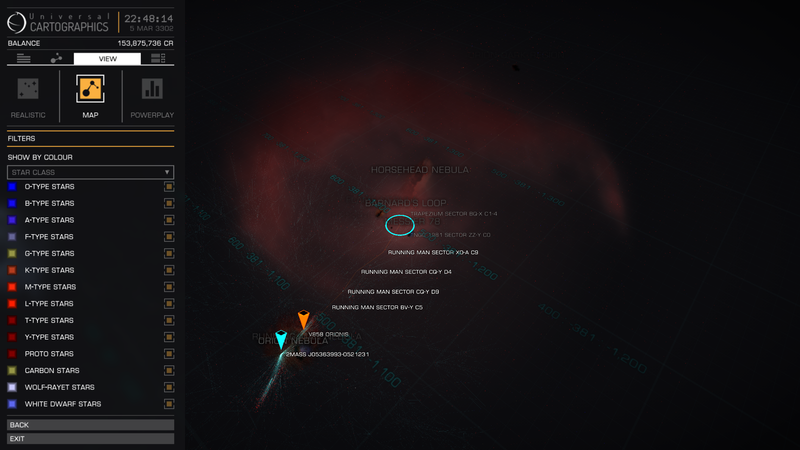 and here is my current star map its hard to tell but the red is where I normally stay. The white is discovered systems. My trip will be the green dots you can barely see them at this time. 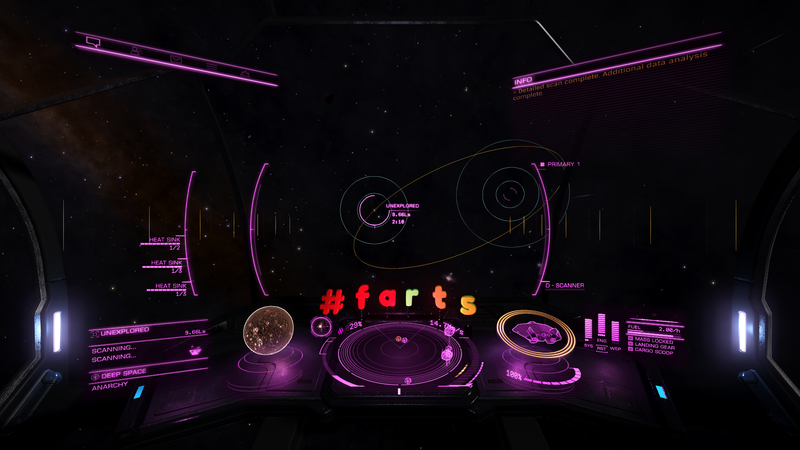 The yellow dot is my home system and the purple dot is Sol. stay tuned for more updates.